Is Your Omega-3 Supplement Rancid? 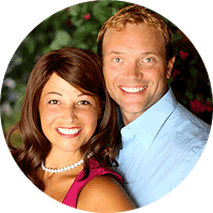 Download Our 21 Page E-Book “The Micronutrient Miracle Guide to Your Omegas”. Does Your Omega-3 Supplement stack up? Is your Omega 3 supplement actually absorbed? You'd be surprised to find out how many are not. There is an exact formula that a needs to be adhered to to get the benefits of Omega 3's and none of the ones we tested had this. Luckily, i f you solve the rancidity issue that we will be discussing later in this blog then you don’t have to worry about that fishy taste or those nasty, fishy burps. You see, most of the time it is when the fish oil is oxidized to the point of becoming rancid that the fishy taste and smell increase to the point of causing the fish oil to repeat on you. However buyer beware, because many fish oil supplements add in flavoring to circumvent this issue. While this may make the fish oil more appealing it to the consumer, according to new research, the majority of the time the fresh smelling lemon or orange oils used as flavoring are there to cover up the taste and smell of oxidized, rancid fish oil. You want to read labels carefully and may want to avoid scented or flavored fish oils for this reason. Will any fish oil really smell like roses if you break open the capsule to smell what’s inside? Not likely. You only have to use your common sense to figure this one out. If you have ever gone fishing or walked through a fish market you understand why. 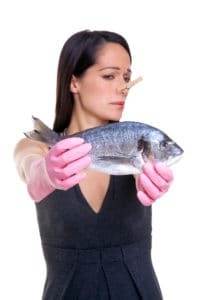 Fish smells – even fresh fish. It is probably our least favorite part of spending the day on the open water fishing. But, it is the truth. Fresh fish smell and even the freshest fish oil will have the smell of fish. This means that using the “nose-test” of fish oil safety is likely not the most scientific. But, you probably already knew that. First things first…what is oxidation or rancidity? And does it make fish oil unsafe to consume? Oxidation is simply what happens to the unsaturated fatty acids found in fats and oils when they are exposed to oxygen. Upon reaction with oxygen from the air, the chemical bonds in the fatty acid molecules break down to form new molecules. All lipids containing unsaturated fatty acids oxidize over time, regardless of whether they come in the form of cooking oils or fish oil capsules, and this can ultimately lead to the oil becoming rancid. Like we stated earlier, this oxidation in fish oil products is usually to blame for the fishy taste or odor. But, oxidation also affects your fish oil in other negative ways. Has lower levels of EPA and DHA. As oxidation occurs, the fish oil’s EPA and DHA content also decreases. Since the EPA and DHA molecules are the main workhorses of the omega-3 family, reduced EPA/DHA content means reduced efficacy of the oil (1). Supplies less health benefits. 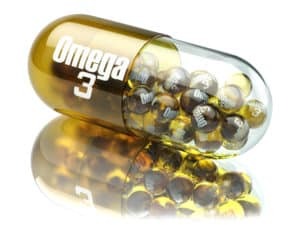 In a Spanish study, researchers divided 52 women into three different groups: one group that consumed less oxidized omega-3 capsules, one group that consumed highly oxidized omega-3 capsules, and a third group that received no capsules. After thirty days, they measured the women’s triglyceride and cholesterol levels. Only the women who received the less oxidized capsules had reduced triglyceride and cholesterol levels. (2) Simply put, only those supplementing with safe fish oil (non-oxidized) received the promised health benefits of omega-3 fatty acids. May actually cause negative health conditions. In that same Spanish study, the women in the highly oxidized capsule group saw a negative impact on their cholesterol levels. The oxidized oil was not just less effective than the less oxidized oil; it produced a negative health consequence for the women. In order to understand the vastness or this issue, and without making this a science class, let’s share some basic info on how oxidation is measured. Basically there are 3 measurements that have set markers that must be met in order to show a product has not been oxidized. The Peroxide Value (PV) is a measure of how much peroxide is present in oil. When polyunsaturated fatty acids oxidize, the first compounds created are peroxides, so this is a measure of primary oxidation. The para-Anisidine Value (pAV) is a colorimetric method that measures secondary oxidation products (2-alkenals and 2,4-alkadienals). TOTOX is a third way to measure oxidation, which is a calculation combining PV and pAV. It was conceived as a way to give a complete picture of oxidation by including primary and secondary oxidation measurements. All fish oils being manufactured today are tested for these three safety markers along with other numerous markers that tell the labs how free of contaminations they are and how high the levels of EPA and DHA are in the product. These markers are all given limiting guidelines for safety. So, how do most omega-3 products on the market fair today? Ok, we don’t want to sound alarmist, but published reports out of New Zealand, South Africa, Norway, and Canada analyzing omega-3 product levels for oxidation are concerning. New Zealand researchers found that 83% of the products tested exceeded recommended industry peroxide levels (3) while a similar study from South Africa reported the number at 80% for their over-the-counter fish oil supplements (4). In Norway, where fish oil supplementation originated, the results were even worse. A 2009 study demonstrated that over 92% of the products surveyed exceeded recommended industry levels (5). You don’t get fish burps. Less oxidation leads to less digestive issues. You receive the full EPA and DHA levels that the product claims so that you can get full health benefits. Therefore, it is your obligation to ask the manufacturer for the products TOTOX results. At Calton Nutrition, we believe that transparency is important. You can find the PV, pAV and TOTOX results right on the Origin Omega page in the store. As you can see above our patented fish oil product Origin Omega passed with flying colors… and we are proud to offer such high quality, triple strength EPA DHA fish oil to our friends, family and health conscious consumers around the world, just like you. We take supplement safety very seriously and we want to make sure that you have all the knowledge you need to choose products whose manufacturers are taking the time to source only the purest ingredients. For more information about Origin Omega, the first and only triglyceride form omega-3 fish oil supplement formulated using patented Anti-Competition™ Technology to improve absorption and utilization by naturally eliminating the competition between EPA and DHA, click here. Simple. Our life is about researching and finding the best solutions for our readers. We created this guide to go along with our new line of essential oils called in.essence. We created this product because we saw many inferior and expensive essential oils that did not fit our criteria by being organic and edible. Check out our guide and recipes and compare our quality and pricing to any of our competitors and you’ll see the choice is simple. The Caltons are among the world’s leading experts on the topics of weight management, lifestyle medicine and micronutrient deficiency. Their high success rate working with adults and children to achieve sustainable weight loss and reverse health and disease conditions has made their consultancy highly sought after by celebrities, athletes and top corporate executives around the world. It is their belief that becoming micronutrient sufficient is the first step towards preventing and reversing many of today’s most prevalent health conditions and diseases.